Most people can read a floor plan, pick out paint colors, and make a thoughtful decision about whether or not to put a tub in the master bathroom. That’s the fun and exciting part of building a home. But very few people understand–and even fewer enjoy–the ins-and-outs of financing new homes. At Avex Homes, we are committed to providing you with a variety of options for homeownership as we guide you through the lending process. We work to find the right funding package for your current financial situation so that you can focus more on your dreams for the future. Once you have found your new home–and we’ve got plenty of new home builds and available homes throughout Central Florida to choose from–you’ll want to progress through the purchasing process as quickly and smoothly as possible. To ensure that you are supported and informed throughout the entire process, our dedicated sales teams work closely with our trusted lender, FBC Mortgage, LLC. 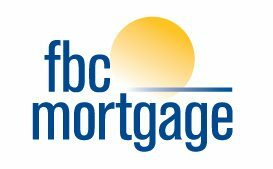 Based in Orlando, FL, FBC Mortgage is our preferred lending partner. With a wide array of competitive mortgage products and expertise in every area of residential mortgage lending, FBC Mortgage is a Top 100 Mortgage Company in the U.S. and holds a 5-Star rating on RateYourLender online. At Avex Homes, we are here for you every step of the way during your home buying journey. Contact us for questions about our homes, our neighborhoods, and the various financing options we can help you with. Is your budget in the right ballpark? Use these helpful tools to start your planning process. Brought to you by our preferred lender, FBC Bank.